Beautiful! Love the QOV Foundation! Very touching. Our soldier protectors deserve at the very least, a warm and beautiful hug from these quilts and from America. Thanks to all of you for your love and support. 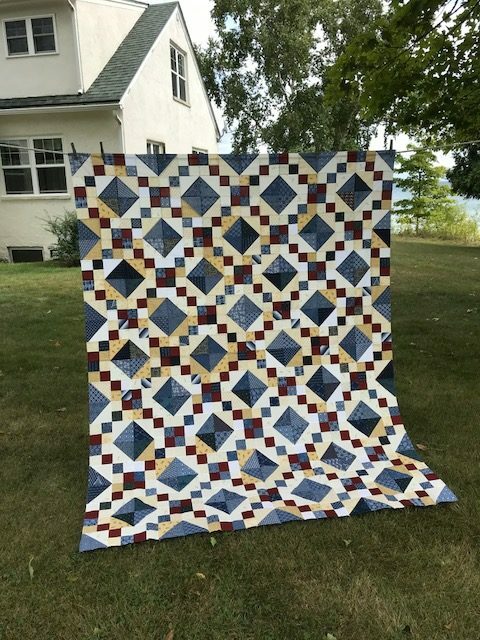 Love the design and colors of the beautiful quilt! Thanks for all you do for QoV! It was great to see you in person. And congratulations on becoming the TQS Legend of the Year for 2018! While more a part of your last “chapter,” this is is a well-deserved honor! Thank you for all you have contributed to the quilting world!